What is Glow-On and what benefits does it offer to you? 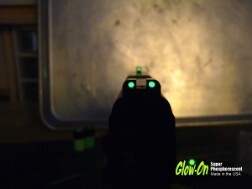 Glow-On turns regular gun sights into a glow in the dark night sights. 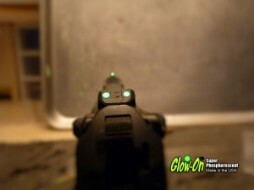 Glow-On super Phosphorescent is the easiest, most affordable and efficient upgrade available for all types of gun sights. No change in hardware is required. It can be applied in just a few minutes. 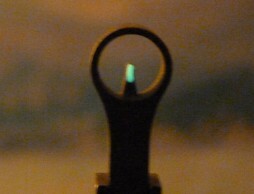 After the application light absorbed from different sources will be released in the form of glow, for a long period of time. 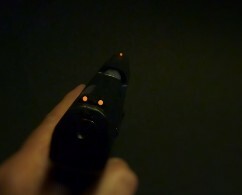 The glow can be rekindled any time exposing the gun sights to a bright LED lamp just a couple of seconds. 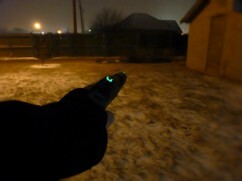 Glow-On can be used along with any other technology and it will never run out of batteries! 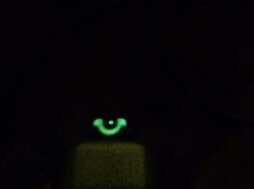 The glow cycle can be repeated millions of times for the half-lifetime of the product which is 15 years. 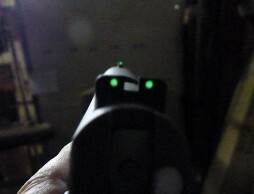 It will bring life back to bare iron sights, standard, white dots, front posts, etc. 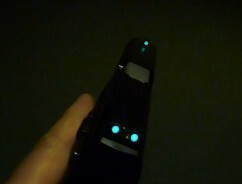 Glow-On works on all firearms. Fast and clean. In just a few minutes. 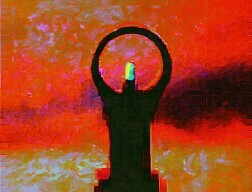 A small vial is enough for about three dozen firearms! That's right give or take a few. 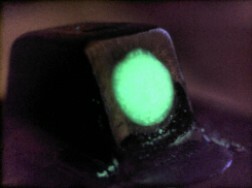 The same applies to a small sheet of Glow-On Film. 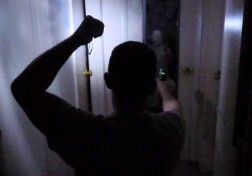 Glow-On is the most efficient product of its kind in the market today! 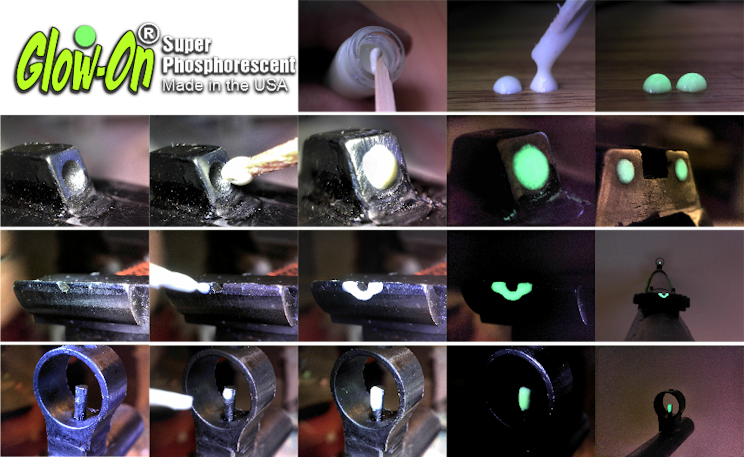 Superior glow at the best price. 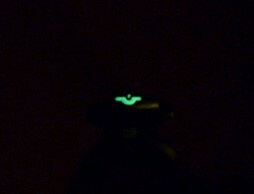 Glow-On glow in the dark gun sights paint performance. 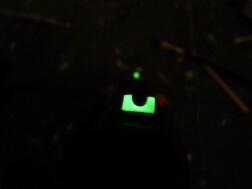 How to remove Glow-On from yur gun. 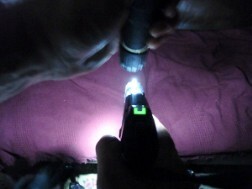 Acetone can be used to 'soften' the Glow-On to make the removal easier. For the cost of a fast food meal you can customize all your firearms! Plan ahead before you start, keep in mind, in the world of "glow" bigger is always better. 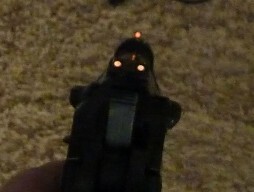 How to apply the Glow-On Paint over your gun sights. Clean surface with alcohol and paper towel. Load a bead of paint on your wooden applicator (provided). Apply an extra layer if necessary and let it dry for a couple of hours, then apply a couple of layers of transparent nail polish to add a smooth finish. 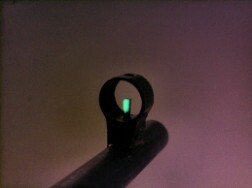 How to apply the Glow Film over your gun sights. 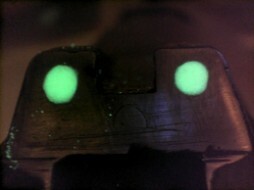 Cut the self adhesive with scissors, a utility knife and ruler or punch glow dots with a hole puncher ( 1/16" ). 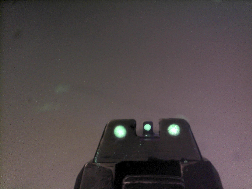 Clean the surface of your gun sights with alcohol. 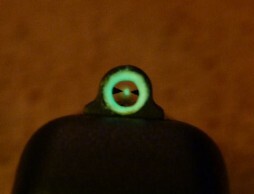 If you ever need it, you'll be glad you have it on your gun sights. 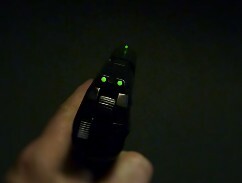 A great fallback strategy for when the batteries on your lasers and red dots go down.